As leading manufacturer of heavy duty industrial sewing machines in China, we entered the European market successfully in 2006. We have worked together with our dealers in Germany, France and Italy for over 10 years. 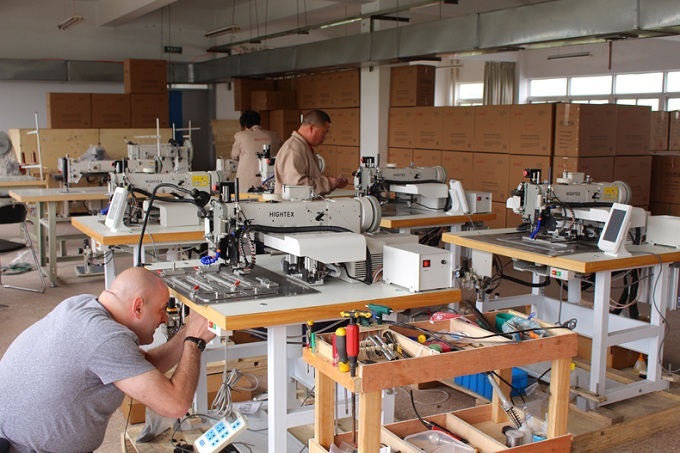 Now we are looking for professional industrial sewing machine dealer in Poland, to distribute our leather sewing machine (for saddlery and leather crafts), heavy duty automatic pattern sewing machine (for slings, harness and ropes), upholstery sewing machine (for thick thread decorative stitching or ornamental seams on leather sofas), as well leather crafting tools. 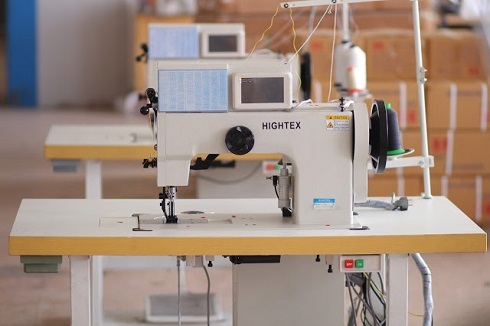 This robotic sewing unit will replace 2 workers, so you can reduce the cost of the finish product, improve quality and enlarge the production speed. These measures will enable you to compete with other manufacturers, both American, European and Asian (China), offering your customers high quality products at low prices. This specialized lashing sewing equipment purchased by a large manufacturer of lifting slings and ratchet straps in Raciborz, Poland. A revolutionary technology for narrow fabrics and webbing manufacturers. This sewing technology is the trend of the future in extra heavy weight sewing applications, one person can manage 3 sewing stations! Ideal for manufacturing lifting slings, military and tactical gear, Ratchet Tie Down (cargo lashing straps), safety harness webbing and seat belts. This largo are automatic sewing equipment purchased by a large manufacturer of lifting slings and ratchet straps in Raciborz, Poland. Designed for light to medium weight spinnakers, windsurf sail and up to heavy sails, using thread sizes V46, V69 and V92 and capable of stitching materials up to 7 mm. With 4 cams for straight stitch, 1-step, 2-step and 3-step zigzag, cover all demands of modern sail making industry. 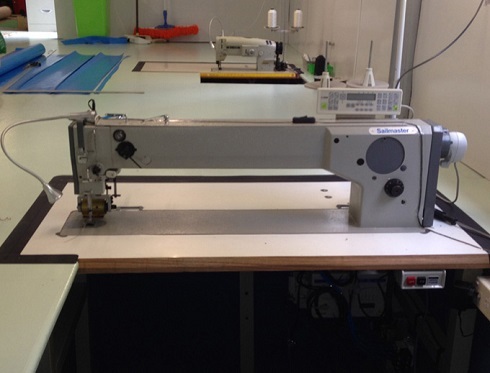 This spinnakers sewing machine purchased by a sail maker in Kobylanka, Poland. New technology of this machine are optimal conditions for ornamental stitching sofas, armchair, shoes, leather bags and automobile upholstery: The walking foot mechanism facilitates sewing over thick spots and cross seams (overlapped seams); With 200 different stitch patterns. Up to 1.2mm thick thread can be sewn for decorative seams. This ornamental stitch sewing machine is ordered by a manufacturers and resellers of furniture (Producenci i sprzedawcy mebli) in Sierpowo, Poland. 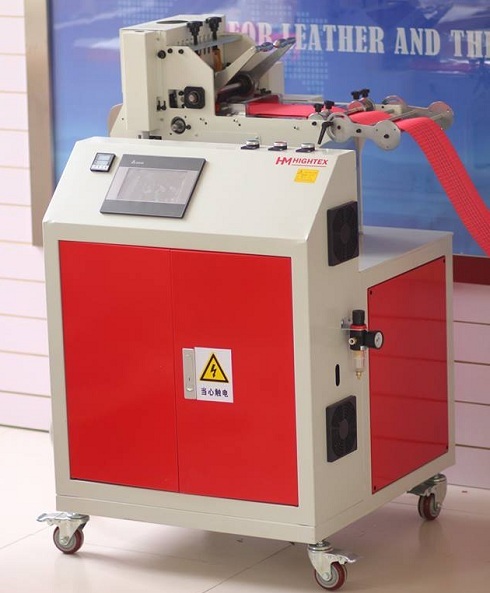 Hightex 828A Automatic hot knife webbing cutting machine for Ratchet Straps, Lashing Straps & Tie Downs Most hot knife webbing cutting machines in today market are designed for light weight webbing tapes for straps and belts used in fashion industry. Hightex 828A is a professional hot cutting machine for heavy duty synthetic webbing straps, for the production of cargo straps and safety harness. The temperature of blade is up to 600 C, can melting 5mm thick webbing without any difficult. This automatic lashing strap cutting machine is purchased by a Manufacturer of crane, transport, hook, rope, belt and chain slings (Producent zawiesi dzŸwigowych, transportowych, hakowych, linowych, pasowych, lancuchowych.) in Warszawa, POLAND. 81500CZ3374B Heavy duty three thread overedging sewing machine for attaching ropes to net borders It can sew up to 20 mm thick ropes (diameter). It is the latest sewing technology in this field, standard equipped with strong puller feeding system, max. sewing thickness is up to 25 mm (= rope diameter + thickness of netting). This machine can replace Union Special 81500CZ3374A and Union Special 81500CZ3374B. 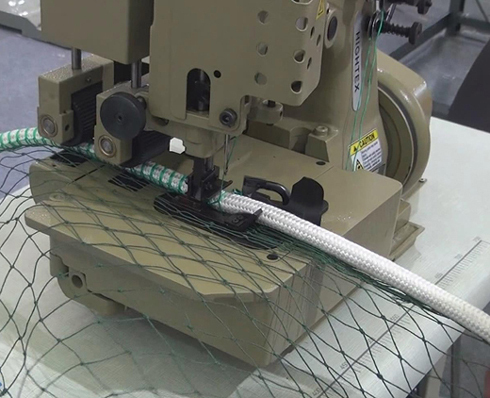 This rope and net joining sewing machine is purchased by the producer of sports nets, among others polypropylene nets, securing cargo, protective shielding, as well as nets for football gates(producent siatek sportowych oferuje m.in. siatki polipropylenowe, zabezpieczajace ladunek, ochronne, oslonowe, a takze siatki do bramek pilkarskich) in Sulmierzyce, Poland.